Superior Steel Overseas is highly acclaimed Supplier and distributor of Carbon Steel Pipes in Jordan.We are also stockholder of carbon steel pipe including ERW (Electric Resistance Welded) and DSAW (Double-Submerged Arc Welded) pipes in Jordan. These Carbon steel ERW and DSAW Pipe available size from 1/8 inch to 60 inch.We offers a wide range of material and specifications in Seamless Carbon steel Pipe in Jordan.Our ASTM A106 Grade B, ASTM A333 Grade 6 CS Seamless Pipes and Carbon Steel Welded Pipes real-time inventory management, full mill documentation and continuous quality control make your project procurements smoother and more cost-effective. We offer full range of carbon steel pipes in standard grades such as ASTM A671, ASTM A672, API 5L Gr B, X52, X65,PSL1,PSL2, ASTM A106/B and ASTM A333 Gr 6 grades,A53 and available Pipe wall thickness schedules like Sch 40,Sch 80, Sch XXS.For Low Temperature Service applications Seamless A/SA333 Grade 1/6 Pipe preferred.Carbon Steel Line Pipes are used in industrial applications involving high heat, including process piping, boiling plants, compression stations and refineries.We have a vastly experienced team with many years of industry experience and you can be sure that you will be treated both professionally and courteously as well API 5L Pipe is used in oil & gas,alternative energy,subsea drilling,power plants, boilers, petrochemical plants, oil and gas refineries, also vessels where piping transports fluids and gases that exhibit high pressures and temperatures. We deliver our carbon steel pipes direct to your doorstep, anywhere in the Jordan.Our own delivery fleet to convenient two locations—Amman and Mosul.We currently have more than 20,000 square feet in warehouse and office space , which ensures our ability to deliver carbon steel line pipe fast—to where and when you need them. Superior Steel Overseas is independent stockholder of special grades to meet quickly and reliably to industrial applications. We provide materials as per your need, including API, ASTM, ASME, NACE, DIN, AISI, MSS,JIS specifications.We are approved to ISO certified,KOC,KNPC approved,Saudi Aramco appoved ,PED & KBR approved,Gasco approved,Carbon Steel Seamless Pipes and Carbon Steel Welded Pipes (ERW,EFW,LSAW,DSAW) are dispatched after all quality testing parameters like Mill Test Certificates, Chemical Reports, Mechanical Reports, PMI Test Reports, Visual Inspection Reports, Third Party Inspection Reports, NABL Approved Lab Reports, Destructive Test Report, Non Destructive Test Reports, India Boiler Regulations (IBR) Test Certificate.Buy these High Quality Carbon Seamless Welded Pipes at affordable price in Jordan from us. Superior Steel Overseas is largest supplier, stockist and distributor of Carbon Steel Pipe in Jordan. Superior Steel Overseas is largest supplier, stockist and distributor of Carbon Steel ERW Pipe Price Jordan. 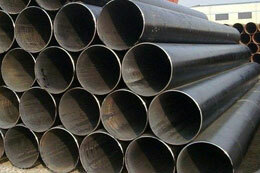 Superior Steel Overseas is largest supplier, stockist and distributor of Carbon Steel Welded Pipe Price Jordan. Superior Steel Overseas is largest supplier, stockist and distributor of Carbon Steel Welded Tube Price Jordan. Superior Steel Overseas is largest supplier, stockist and distributor of Carbon Steel Seamless Tube. Superior Steel Overseas is largest supplier, stockist and distributor of Carbon Steel ASTM A106 Carbon Steel Pipe Price Jordan. Superior Steel Overseas is largest supplier, stockist and distributor of ASTM A333 Carbon Steel Pipe Price in Jordan. Superior Steel Overseas is largest supplier, stockist and distributor of Carbon Steel ASTM A671 Carbon Steel Pipe Price Jordan. Superior Steel Overseas is largest supplier, stockist and distributor of ASTM A53 Carbon Steel Pipe Price in Jordan. Poland, Yemen, Russia, Bangladesh,Italy, Austria, Argentina, Spain, Taiwan, Singapore, Algeria, Kenya, Canada, Bulgaria, Tibet, China, Kazakhstan, Jordan, Thailand, Nepal, Belarus, Zimbabwe,Finland, Israel, Gambia, Norway, Sweden,Colombia, Czech Republic,Cyprus.